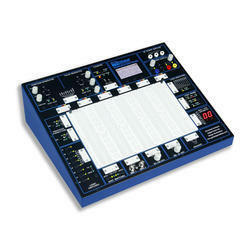 We are offering Analog Digital Circuit Design Service to our clients. 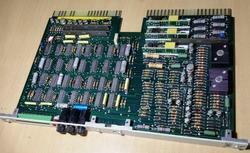 We offer PCB Design services upto 4-layers include Schematic Capture, PCB layout. Along with Designing we provide Soldering solutions as well as complete manufacturing services. We also accept prototype and small quantity inquiries. This circuit can control two channel intensinty of Light based on Leds. Erislabs has extensive experience in digital circuit design. Whether it is circuitry for a product that incorporates a complex microprocessor and memory system or a signal processing system that combines high speed DSPs and custom FPGAs Erislabs can provide a full turnkey development solution. Using Symica EDA toolkit you can go through the whole flow of integrated circuits design. It is a powerful platform that consist of schematic editor, SPICE simulator, waveform viewer/analyzer, layout editor and other additional features. All type of circuit drawing in autocad format . Learn Industry level PCB designing within one week. EmbedVISION provides training on PCB designing and Circuit designing. We are doing Circuit design services based on clients requirement in Micro controller, Analog and Digital Electronics, GSM, GPS, Bluetooth, Wifi, RF Systems.